Here’s the deal: You need a stair lift installed in your home, but you’re not sure what model would be the best fit. The first thing you need to decide is whether or not a full-sized stair lift would fit in your stairway. If not, you’re going to need a compact stair lift. If you don’t know which compact lift is the best option, keep reading for helpful tips. The first thing you need to do is evaluate your stairway space. If your stairways are limited, then you should definitely consider a compact stair lift. A good way to narrow down your options is to find out what models will actually fit on your stairs. Some stair lifts are more compact than others, and so there’s no point in falling in love with a compact stair lift that won’t work in your home. Take measurements and do your research; after you know which options will work, you can start weeding out less desirable ones. Here’s the deal: There are many compact stair lifts available for purchase. The job set before you is deciding which ones will be most comfortable. Take your body size into consideration when shopping for a compact lift and realize that even though the smallest, most compact model might be great for your home, it might not be great for you. We recommend looking up product reviews on each model you’re interested in to see what other homeowners are saying about the level of comfort associated with the model. Because compact stair lifts can be folded up when not in use, you must be confident folding and unfolding the lift on a daily basis. Parts that fold up include the seat, armrests, and foot board, so make sure you are confident enough on your own two feet to prep the lift before using it. If you are a wheelchair user and unfolding the lift would be too dangerous or too taxing a job to do on a regular basis, it is best that you explore other in-home lift options. 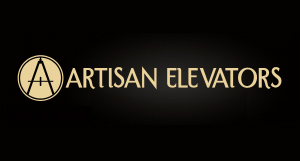 Other options you might want to consider include residential wheelchair lifts, as well as residential elevators. Installing a compact stair lift isn’t as difficult or as tiresome as you might think. 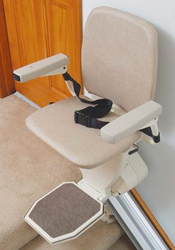 Because it is much simpler than a typical stair lift, it actually takes less time to install. Both compact and normal-sized stair lifts are installed in the same manner; the lift is attached to the railing or base boards of the stairs.